Effective, outcome-based teaching is an ever-evolving practice. That’s why more some 200 faculty members, trustees and administrators gathered in Smith Auditorium for a special collegewide faculty meeting featuring Association of American Colleges and Universities (AAC&U) President Carol Geary Schneider, Ph.D. Her talk, Give Students a Compass: Liberal Learning, Educational Innovations, and the Global Commons, examined the educational practices to best prepare students for 21st century challenges. The AAC&U is the leading national association committed to advancing and improving liberal education for all students. 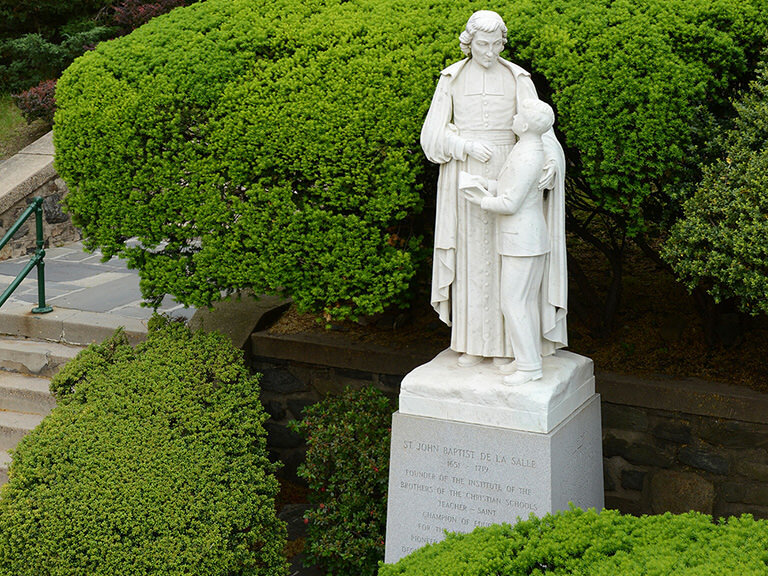 And as one of its founding members (having signed the charter in 1915), Manhattan College is on the forefront of both providing and articulating a meaningful liberal arts education. The presentation included a brief review of AAC&U’s Liberal Education and America’s Promise (LEAP), a national public advocacy and campus action initiative launched in 2005. LEAP champions the importance a liberal education for individual students and for a nation dependent on economic creativity and democratic vitality. 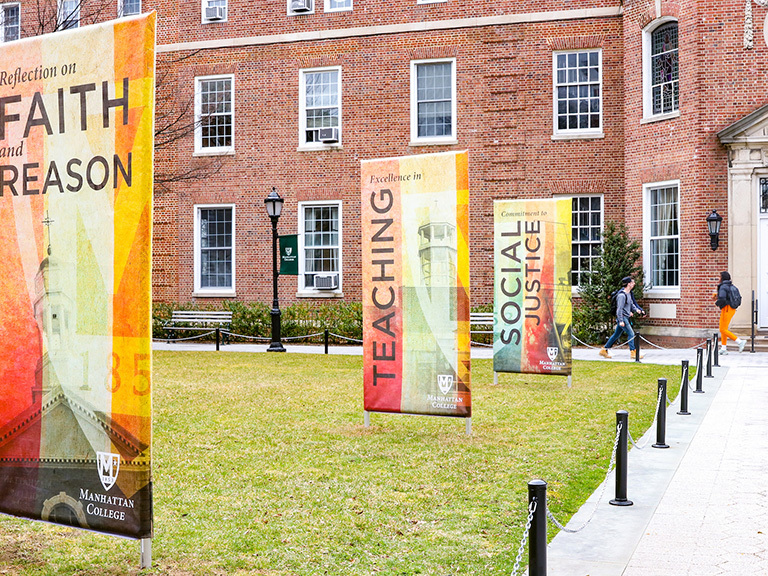 Through this initiative, Manhattan College has employed high-impact educational practices (HIPs) including first-year seminars, learning communities, writing-intensive courses, global learning experiences, internships and capstone projects, all of which prepare students to succeed in the world after graduation. “HIPs also offer rich opportunities to make civic engagement pervasive, rather than merely available and optional,” Schneider said, suggesting that in a post-recession economy, civic engagement avenues such as Campus Ministry and Social Action, the Arches Learning-Living program and the L.O.V.E. program (Lasallian Outreach Volunteer Experience) are more important than ever as employers desire graduates that can make complex ethical decisions.